Written by a mother and daughter who have successfully navigated the minefield from distance and tension to acceptance and friendship, Mother-Daughter Duet helps moms open wide the door of communication so that daughters want to walk through it. Filled with personal anecdotes and based on proven principles, each chapter offers timeless wisdom as well as a daughter’s perspective. Often these principles apply to daughters-in-law as well. The relationship between mothers and daug hters is intense, personal, complex, and unique. 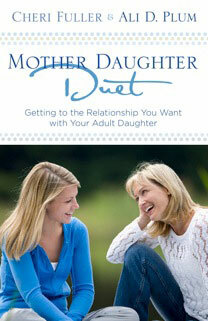 But you can have the loving, authentic bond you always dreamed of—when you learn the mother-daughter duet. Hear C heri and Ali discuss "Mother/Daughter" Relationships on a great Chicago Radio show. If you’re looking for a dynamic speaker who will encourage your heart, fill you with hope, and share ways to recharge your relationships and life, Cheri Fuller is the ideal speaker for your next event. You will leave energized by a fresh sense of God's grace and equipped with creative ideas for your adventure through life and your spiritual journey. 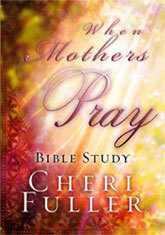 To check out Cheri's retreat and event topics, click here. NEWS FLASH! 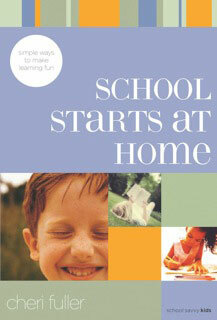 Tune into Cheri's live webcast "Helping Your Child Thrive in School" Wed., August 4, 1 p.m. Central Time. ORDER the other two helpful books--Raising Motivated Kids and Talkers, Watchers, & Doers in the SCHOOL SAAVY KIDS SERIES.